Every company is required to keep the following statutory registers, and to provide access to them. They must be kept at the company's registered office or (register of members and register of directors' interests only) at some other place notified to Companies House. Most companies keep the statutory registers in a single bound book or loose-leaf binder, but they may be kept in any form, such as a computer record. By sec94 and schedule5 of the Small Business, Enterprise and Employment Act 2015 (expected implementation April 2016) private companies may opt to keep certain information on the central Companies House register instead of on their own statutory registers. The statutory registers are important. Not only is it a requirement of the Companies Act that they should be kept, and kept up to date, but the register of members, in particular, is the primary authority as to who are members of the company and how many shares they hold. the date at which the person was registered as a member, and the date at which he or she ceased to be a member. The register must be kept at the company's registered office, or some other office notified to Companies House. The register is prima facie evidence of the matters directed or authorised by the Companies Acts to be inserted in it. Consequently, entries should be made in the register only in accordance with proper allotment or transfer procedures. The Companies Act 2006 made substantial amendments to the rights to inspect the register. It remains open to any member of the company without payment, and to anyone else on payment of the prescribed fee. Copies can also be obtained on payment of a fee. whether the information will be disclosed to any other person and, if so, their identity, and the purpose for which they will use the information. When a company receives such a request, it must comply within 5 working days or apply to the court, notifying the applicant. If the court is satisfied that the request was not made for a 'proper purpose', it must direct the company not to comply with it and may order that the applicant is liable for the company's costs. It may also order that the company may not comply with any similar requests (even made by other persons). Alternatively, it may order the company to comply with the request. If the company does not comply with a request for access to the register or obtain an order not to, it and any officer in default may be fined. The company must also inform the person given access of the most recent date on which alterations were made to the register 'and there were no further alterations to be made' (sic): sec120(1). If the index is inspected, the company must state any alterations to the register that are not reflected in the index: sec120(2). to fail to do anything with the result that the information is disclosed to another person, knowing, or having reason to suspect that that person may use the information for an improper purpose. These extraordinary provisions clearly alter substantially the position of a company's register of members as being a document in the public domain. The new law will have the effect of intimidating applicants, and will put them at risk of being liable for the company's costs of an application to the court. Further, there is no guidance as to what a proper purpose for seeking this information might be. The register is prima facie evidence of the matters directed or authorised by the Companies Acts to be inserted in it. Consequently, entries should be made in the register only in accordance with proper allotment or transfer procedures. In particular, no transfer of shares should be recorded unless the transfer is effected by a "proper instrument of transfer" (stock transfer form) on which the appropriate stamp duty has been paid. The transfer should not normally be effected without production of the transferor's share certificate. Sec162 (1) Every company must keep a register of its directors. (2) The register must contain the required particulars (see sections 163, 164 and 166) of each person who is a director of the company. (b) at a place specified in regulations under section 1136.
unless it has at all times been kept at the company's registered office. For this purpose a shadow director is treated as an officer of the company. (7) A person guilty of an offence under this section is liable on summary conviction to a fine not exceeding level 5 on the standard scale and, for continued contravention, a daily default fine not exceeding one-tenth of level 5 on the standard scale. (8) In the case of a refusal of inspection of the register, the court may by order compel an immediate inspection of it. the title may be stated instead of his Christian name (or other forename) and surname or in addition to either or both of them. (3) For the purposes of this section a "former name" means a name by which the individual was formerly known for business purposes. Where a person is or was formerly known by more than one such name, each of them must be stated. (ii) has been changed or disused for 20 years or more. (ii) if applicable, the register in which it is entered (including details of the state) and its registration number in that register. (1) Every company must keep a register of directors' residential addresses. (2) The register must state the usual residential address of each of the company's directors. 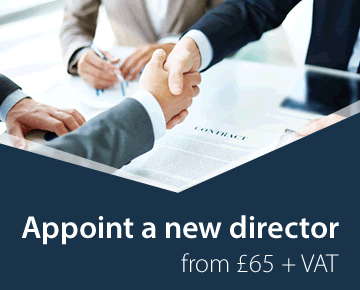 (3) If a director's usual residential address is the same as his service address (as stated in the company's register of directors), the register of directors' residential addresses need only contain an entry to that effect. This does not apply if his service address is stated to be "The company's registered office". (5) A person guilty of an offence under this section is liable on summary conviction to a fine not exceeding level 5 on the standard scale and, for continued contravention, a daily default fine not exceeding one-tenth of level 5 on the standard scale. (6) This section applies only to directors who are individuals, not where the director is a body corporate or a firm that is a legal person under the law by which it is governed. A company is required to keep a register of secretaries under sec275. Many private companies do not now have a company secretary. the names of the persons entitled to the charge. The company must also keep at its registered office a copy of every charge on its property: sec875. Charges are also required to be notified, within 21 days, to Companies House. The Small Business, Enterprise and Employment Act 2015 introduced a new register of people with significant control. Many companies keep other registers, such as a register of allotments, register of transfers, register of sealings, but these are not statutory registers and there is no obligation to do so. The register of directors' interests, formerly required to be kept under the Companies Act 1985, is no longer required. Incorporation Services Limited provides an expert service for all your company formation and company law requirements, including all company secretarial matters such as completing statutory registers. We supply registers of various types, and have a service for bring registers up to date.